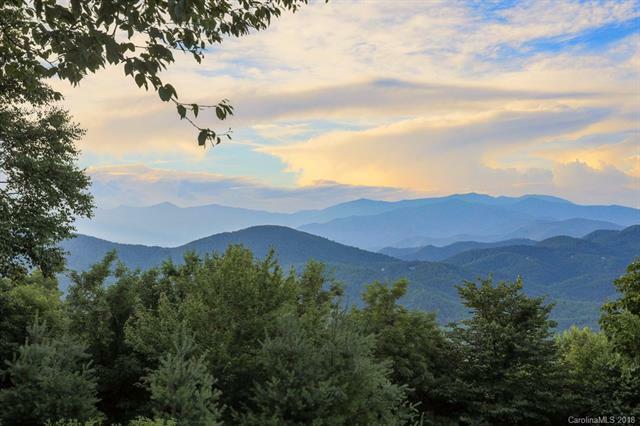 Imagine yourself atop 40 acres of mountain property in the western NC mountains with 360^ views of mountains and valleys. Welcome home to 3250 Sand Branch Rd in Black Mountain. 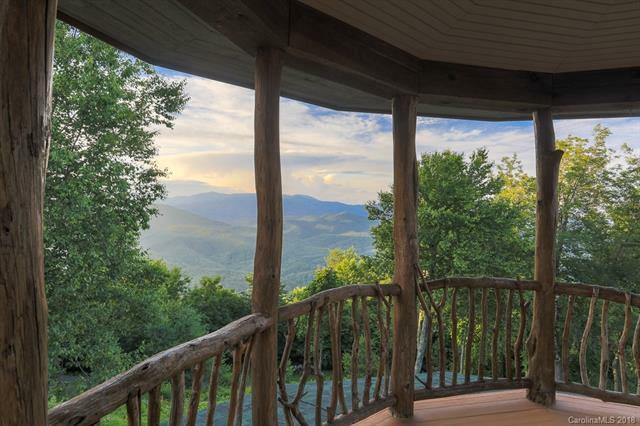 This once-in-a-lifetime offering provides ample space, both indoors and out, to enjoy the special qualities of the western NC mountains. With more than 5000 sf of interior space, this 4-bedroom home features five stone fireplaces and a wrap-around porch that includes an indoor/outdoor eating area. A few of the meticulous upgrades include geo-thermal heating, mahogany floors, copper kitchen countertops, and a hand-crafted locust wood porch railing. Perhaps the most eye-popping feature is the rooftop observatory that is accessible via a spiral staircase. From this vantage point, views include majestic mountains as well as telescopic moon shots. Even the drive down the entryway to this impeccable home captures the scenic essence of the western NC mountains. Located 20 minutes from Black Mountain and 40 minutes from Asheville, the trip home includes gentle slopes and tree-covered mountains, reminiscent of a national forest. True appreciation of this remarkable home requires a personal tour so please contact Greybeard Realty to set up an appointment. Greybeard Realty has homes of various sizes and locations through our exclusive listings page. For a glance at available luxury log homes, please browse through Greybeard’s luxury log homes page. And if you have a specific wish list for your newest home, please let us help you find your dream home. Buying from Greybeard is a very individualized process, and we look forward to meeting with you. ‘Tis the season to enjoy your new home in the lovely gated community of Gateway mountain. Built in 2005, 110 Christmas Tree Lane combines natural serenity and easy accessibility, making it a great home for anyone looking to get away but still be close by. This two-bedroom, two-bath log home has a stone, wood-burning fireplace in the cathedral-ceilinged great room and long-range mountain views. The basement has a woodstove, and, while the basement presently is unfinished, it could be completed for additional living space. 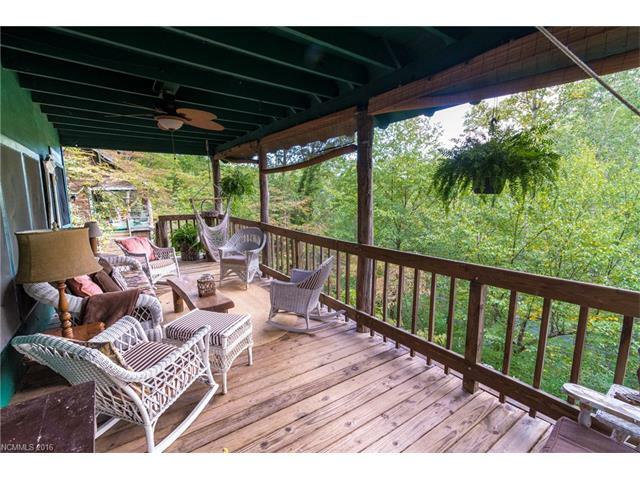 Situated on 2.91 acres, this lovely home has three decks and a covered porch. Sit in the rocking chair and watch the clouds roll by or head out into Gateway for some lake fishing or hiking. And an easy 20-minute drive will have you in Black Mountain. Gateway Mountain is a gated community with more than 3,000 acres of nature. If you would like more information about this home or any homes for sale in gated communities, please contact Greybeard Realty. There’s something very special about western NC, and here’s a chance for you to be a part of that. Contact Greybeard Realty today and get moving. 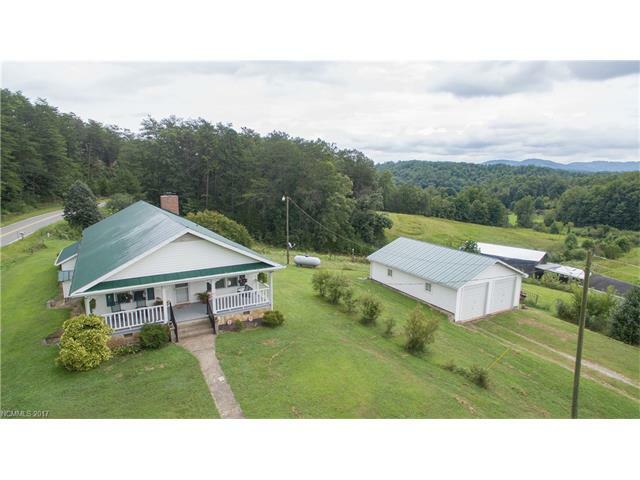 Horse folks and outdoor lovers will fall in love with 1304 Souther Rd, located just 15 minutes from Black Mountain. The more-than-34 acres include a creek, trails, mountain views and a charming 3-bedroom, 2-bath farm house. A quick two minute drive from the interstate, this incredible property can be developed, and it already has a bridge over the creek on the property. And with long-range and mountain views, there’s a sense of peace and tranquility that makes this lovely property a real treasure. The farmhouse, constructed in 1922, has a large covered front porch, a couple of fireplaces, and a cozy country kitchen. In addition to the main home, there are several outbuildings on the property. There’s plenty of room for horses and enough land for some great family adventures. To appreciate this gorgeous property, it’s really something you need to come out and see. Sure, you can see the photos, but there’s something about getting out and walking the property and really getting a chance to see it for yourself. If you’d like to schedule an appointment to see this or any of Greybeard Realty’s exclusive listings, please contact Greybeard Realty. This property is a great find with its proximity to Asheville and Black Mountain and its large lot size. Go ahead and start packing up the horses for the move to their new digs. How often have you checked into your NC mountain rental and declared, “Wow. We never want to leave!” Well, here’s a chance for you to try out a gorgeous five-bedroom home at 2031 McKenzie Rd in the gated community of Gateway. And if you love it, you can purchase it. 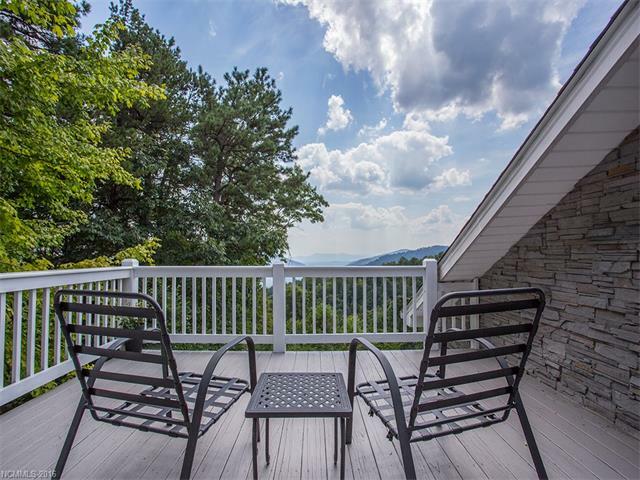 Known as Havencrest in the Greybeard Rentals listings, this lovely, large home features unbelievable year-round views of the Blue Ridge Mountains, Lake Lure and more. 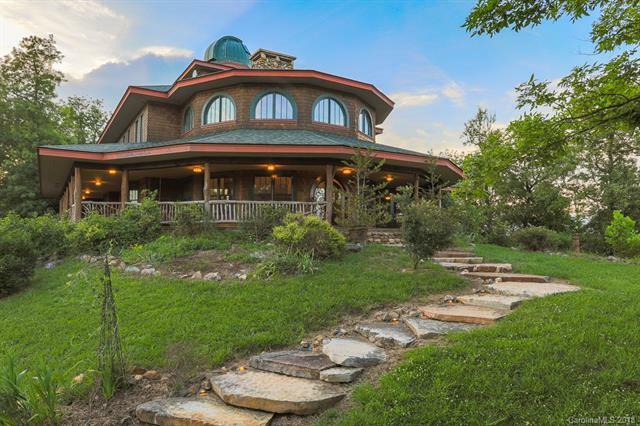 Nestled on 4 private acres in proximity to a 3,000 acre nature preserve, this fantastic home is very reasonably priced and ready to move into. Imagine yourself preparing family meals in the gourmet kitchen, sipping coffee on the screened porch, and hosting guests or family in the guest quarters downstairs. 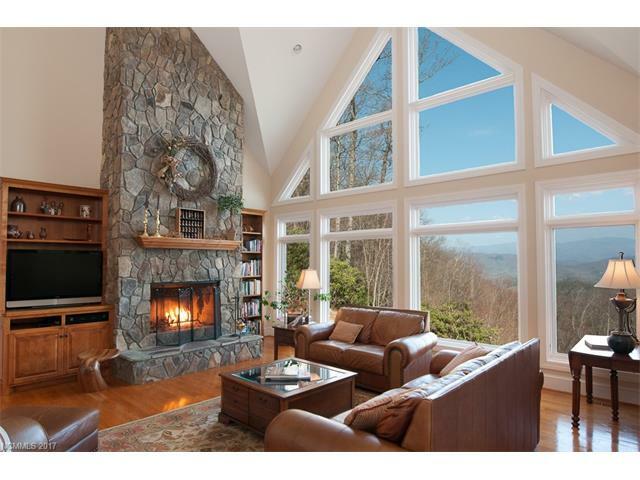 With its post-and-beam construction and multiple fireplaces, this home offers a warm, cozy mountain setting for anyone looking for a tranquil, secluded, yet easily accessible landing spot in the NC mountains. Located just 10 minutes from I-40, Havencrest is an easy 20 minute drive to Black Mountain and 30 minutes to Asheville and its amenities. And the Gateway community provides serenity and amenities including lake fishing, hiking, a waterfall park, and abundant wildlife. While this home would make a wonderful rental home, it also has a terrific vacation rental history available. Greybeard’s Property Management Services can make renting this property a very simple process. Montreat has a simple, mountain feel to it that you really have to experience to understand. From the trail above Lake Susan down the creek bed to the large double stone gate, there’s just a great feel to the quiet, tranquil community. And now, there’s a 5-bedroom, 2.5 bath cabin on the market that truly matches the Montreat atmosphere. Take a look at 416 South Carolina Terrace and see if it doesn’t match the image of your dream Montreat home. Constructed in 1915, this charming cabin has a large covered wrap-around porch, perfect for sipping your drink and taking in the small town’s ambience. The main floor features a rock fireplace as its focal point and includes the living area and kitchen. Upstairs has 4 bedrooms, each with its distinct style and appeal. On the lower level accessed through an outside entrance, there’s another living area with a bedroom and bath attached. This home is fantastic for a family that wants to be together but have some privacy at the same time. The fireplace serves as the sole heating source. For anyone who appreciates Montreat’s character, this home will feel ideally perfect. It could serve as a summer family getaway and also enter the rental home market when its not in use by family. To get an idea of what Montreat is all about, consider renting a Montreat home and see what the buzz is about. 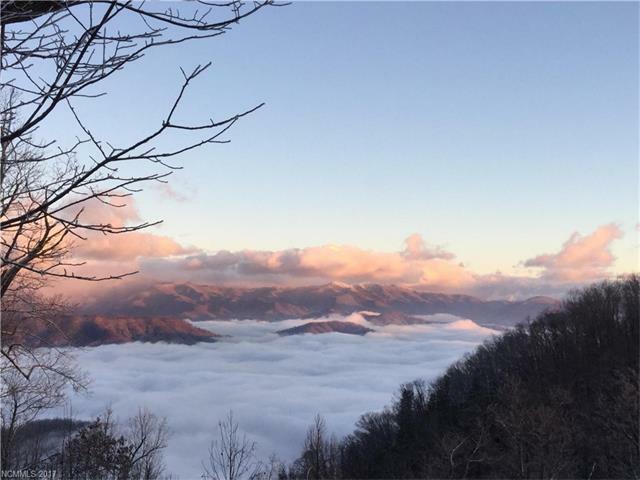 Take a look at the local hikes available, including the Montreat hikes that can be accessed from this mountain cabin. If you’re ready to buy and enter the vacation home realm, Greybeard Rentals Property Management page is a good read. Look here for other Montreat homes for sale or contact Greybeard Realty directly for more information. With proximity to Black Mountain and Asheville, this lovely mountain community makes a fantastic, centrally-located landing spot. 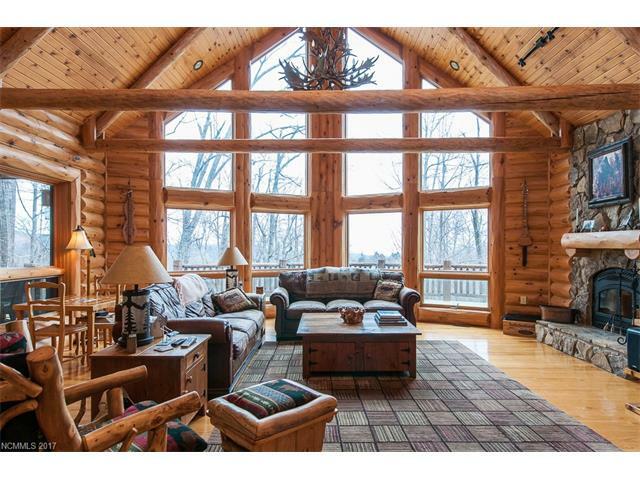 If you take a glance at the photos of this wonderful log home at 87 Spring Branch Rd. in the Gateway Mountain community, you’ll see the elements that make it a quintessential mountain getaway. From the stone fireplace to the wooden beams to the year-round mountain views, this 3-bedroom, 4-bath home checks all of the boxes for buyers searching for that ultimate mountain house. Add in the lovely gated community it’s nestled in, and there’s really no need to look any further. On approach of the property, you’ll see the log cabin structure, along with the wrap around deck. Upon entering the home, you will encounter the large log beams and the vaulted ceiling of the great room. The main floor includes the master bedroom w en suite bath as well as the kitchen/dining area that opens out into the screened porch. In addition to a large loft area with plenty of reading space, the upper floor has two bedrooms with a bath. On the lower level, there’s a family/rec room as well as two bonus rooms and a bath. The finely crafted home is energy efficient with insulation between the half-log construction. Situated on 8.9 acres, this mountain house has plenty going on outside as well with a fire pit, a basketball/bocce ball area as well as a nearby creek. The Gateway Mountain community features a waterfall, canoeing and fishing, as well as numerous well-marked hikes. If you’re interested in utilizing the property as a vacation rental, be sure to read over Greybeard Rentals rental management webpage to get an idea of what services Greybeard Rentals provides. Gateway Mountain community makes a great living and rental location with its extensive amenities, its privacy, and yet its proximity to Black Mountain and Asheville. Constructed in 2004, this lovely home has been meticulously cared for and is move-in ready. If you’re interested in more information about this home or any of Greybeard Realty’s other log homes for sale, please contact Greybeard. Greybeard Realty proudly announces the arrival of its fresh, new website. With updated photos and a streamlined look, we think you’ll find it even easier to find the western NC home of your dreams. In addition to a new video header, the new site offers additional photos and videos that stream while users browse. The images provide more info about the area, including scenery and activities of interest. At the same time, the site continues to be responsive to adjust to any device and has on-time filters, enabling users to pare down home choices according to their interests. 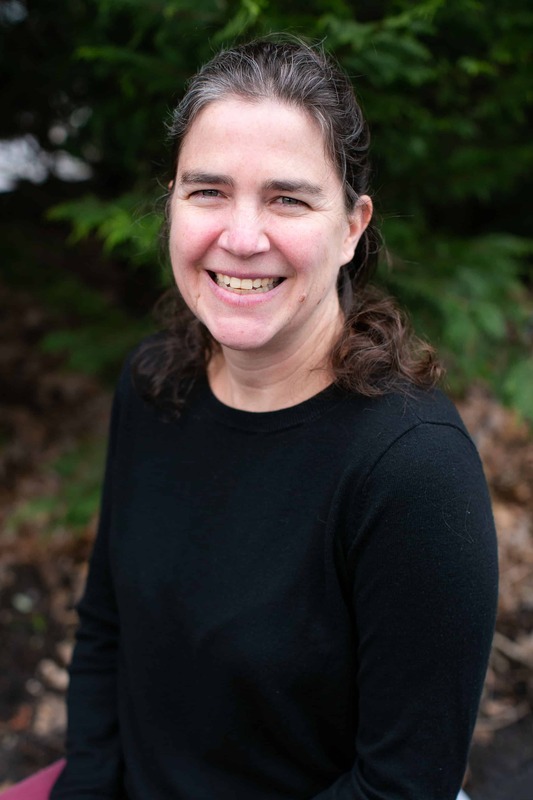 Greybeard hopes you’ll find the website even more user-friendly than before, and our Realtors are standing by to provide individualized assistance when requested. 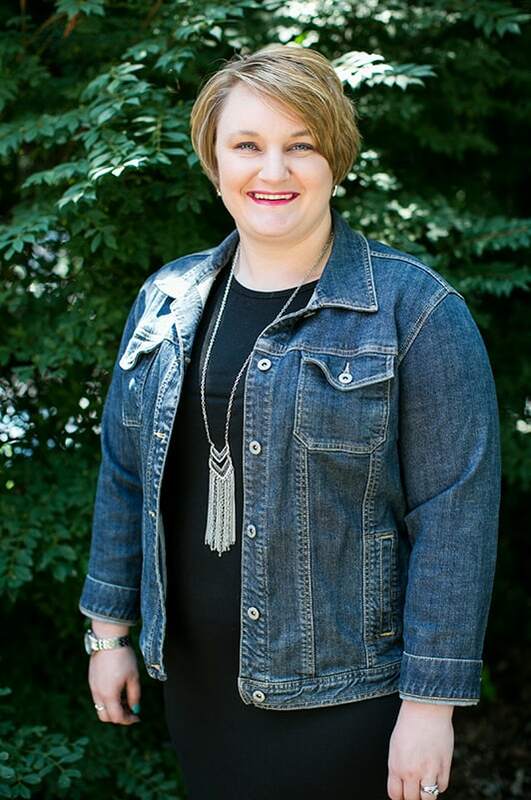 Be sure to keep checking out the webpages some of our individual Realtors have put together, which will soon be accessible from the Greybeard Realtors’ webpage.